Today on the blog, Becky Cole talks us through her journey to Slow Living, what it means to her and offers up some tips on how we can all find that slowness that does us so much good. The concept of slow living came to me before I really realised it was a “thing” (just search #slowliving on Instagram to discover so many amazing accounts dedicated to this topic – and to get lost in the ‘gram for hours). Simply put, slow living is all about living a life in tune with our surroundings and taking joy in the little things. 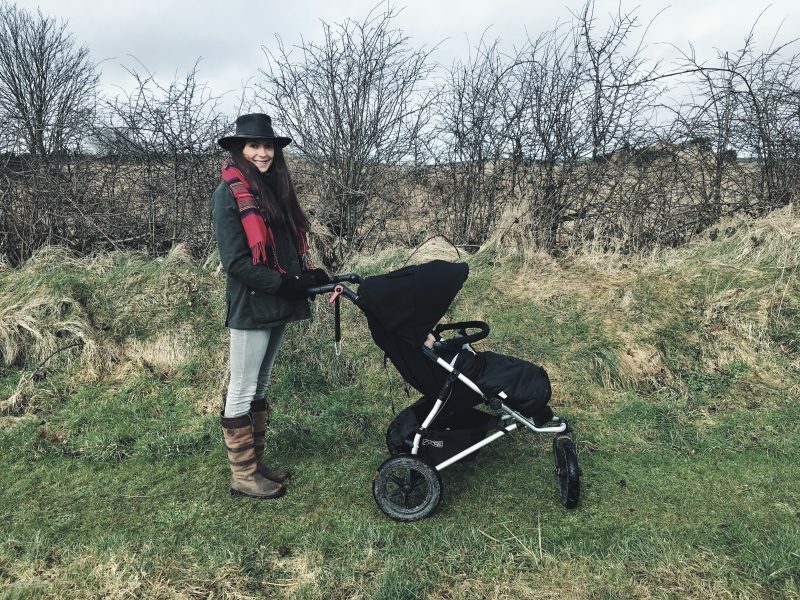 Living in the middle of nowhere surrounded by fields, sheep and cows wasn’t exactly my plan when I was growing up but it turns out that a crash course in how to live a slow life was just what I needed in order to heal my health and become a mum, as well as rekindle my love of blogging. I knew that slowing down was the key to maintaining and healing my autoimmune condition, hashimotos, (something I needed to do in order to have a healthy pregnancy) as well as give me that sense of connection that I was craving so much. It all started when I was living in the city, working full time and running a successful beauty and fashion blog. From the outside it probably looked like I had a pretty great life but I had never felt so disconnected with nature and disillusioned with the commerciality of the fashion industry. I felt like I was so busy that I didn’t even notice the seasons changing, everything was such a rush! I needed a change and one day it arrived, in the shape of a handsome farmer who soon became my husband. When I swapped the city life for mud, wellies and a slower pace it felt like I had been dropped into the deep end! This new life as a farmer’s wife was completely dictated to by the seasons and the weather and there wasn’t a cafe within walking distance. I had no choice but to jump in and get my hands dirty! I began to get more and more involved in looking after the animals, growing vegetables and learning about the seasons and slow-food. This really rekindled my love for nature and I realized how much I had been missing before and how little I actually knew about food and where it came from and the impact our choices make. 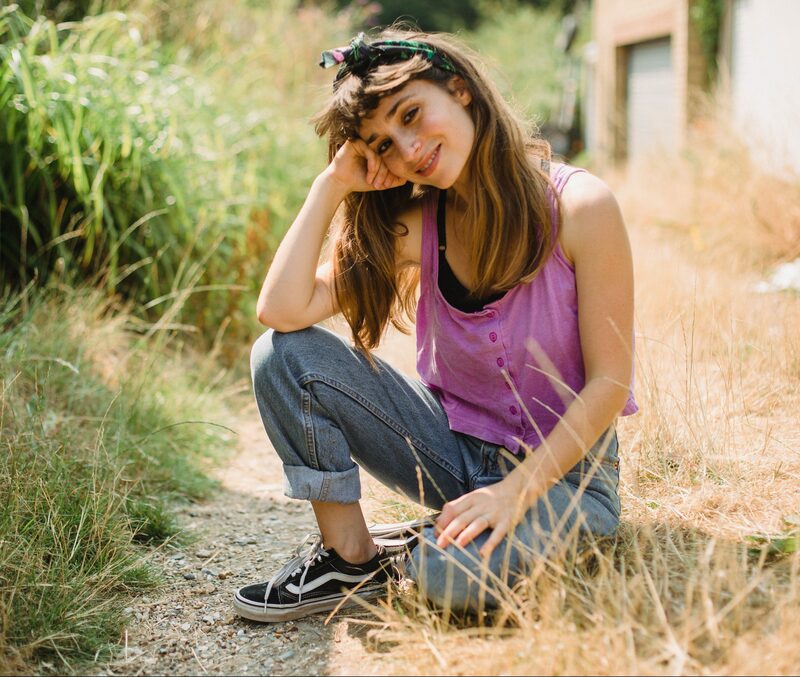 It wasn’t long before I began to get more interested in the environment, herbalism and living without waste and I began vlogging and blogging again on a new site dedicated to sharing everything slow and nourishing. I’m now learning how to master slow motherhood with my one year old baby boy by my side. Whether you live in the city or the countryside I think we can all learn a little from slow living. From shopping at a farmer’s market and having a chat with the producer to making a ritual out of your bedtime routine, it’s the perfect way to clear the chaos and help us live in the moment. Another lovely way to start slow living is to make rituals out of daily tasks. I like to do this with my night time routine. I always brew myself a night time herbal tea to relax, turn off all my electronics and settle down to read a book for 20 minutes. Then I spray my pillow with some homemade pillow spray and enjoy a great sleep! I also like to keep some handpicked seasonal flowers in a little glass ink pot by my bed. Slow living is all about taking joy in the simple things. Thank you so much for sharing your story, Becky, and what gorgeous sounding slow living tips. What are your thoughts on slow living? Do you implement any of the above or any different slow living elements into you daily life? Wow! Early morning and night routine are the best! I love the idea of an handmade pillow spray! Any tips about it? !